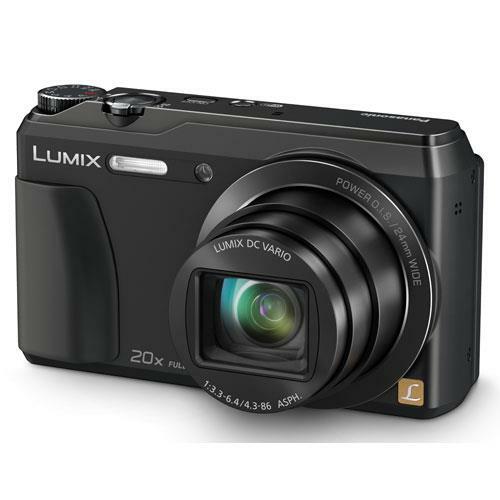 The Panasonic Lumix DMC-TZ55 is an ultra-compact 16 megapixel camera with a large 20x optical zoom. 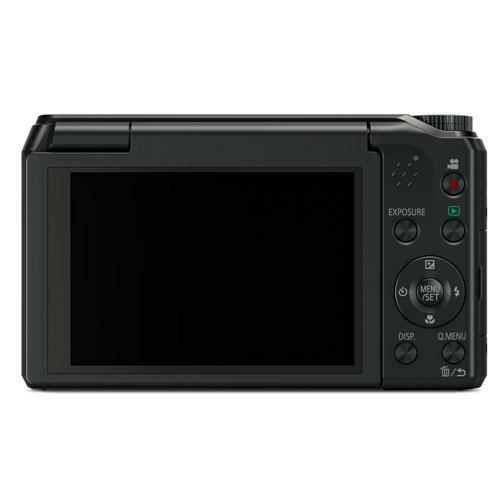 Features include a 3-inch tiltable monitor, Wi-Fi connectivity plus full HD video recording in MP4 format. The 3.0-inch large 460K-dot monitor tilts up by 180-degree making it extremely easy to take self-portrait. 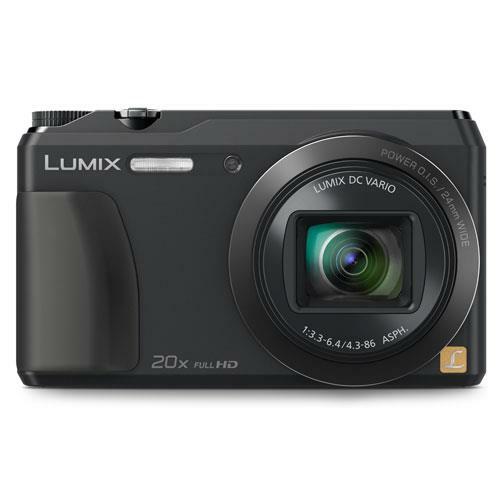 A powerful 20x optical zoom lens in a slim body draws your subjects right up close, and lets you freely capture decisive sports scenes, along with the natural expressions of people and animals. 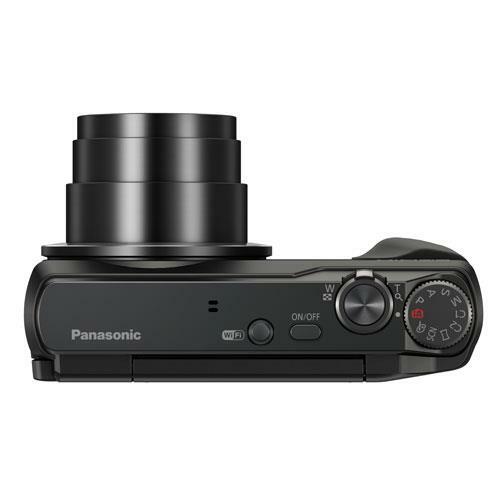 You can easily connect the camera to your smartphone / tablet by displaying the QR code on the camera screen and using the "Panasonic Image App" on the smartphone / tablet to scan the QR code. Setting-up is extremely easy and finishes within a few seconds. A wireless connection between the camera and the smartphone / tablet lets you use a variety of Wi-Fi® functions, such as Remote Shooting, Instant Transfer, and Geotagging. 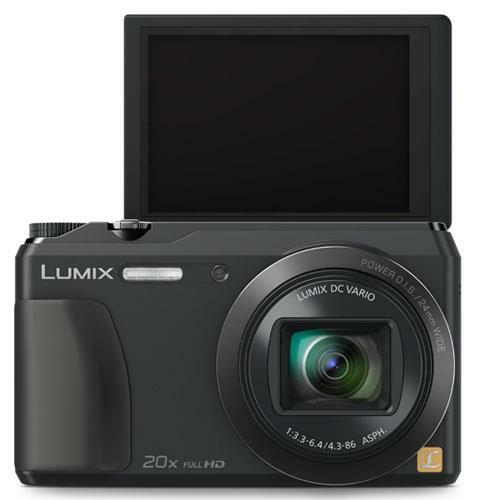 This camera is capable of recording 1920 x 1080 full-HD video in MP4. Alternately, you can choose MP4 at 30p (for NTSC area) / 25p (for PAL area) for video recording, which has higher compatibility with PCs. A special separate button lets you instantly start recording videos while shooting photos without having to make any extra settings. Approx. 350 pictures (TBD) can be taken on a single charge with 1250mAh large capacity. The camera's battery can be recharged either via AC or via USB according to your convenience.